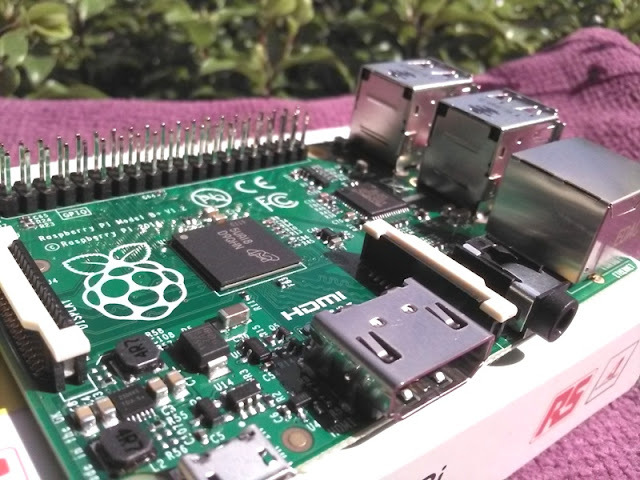 Raspberry Pi B+ Is Tailor-made For Electronics Hobbyists! 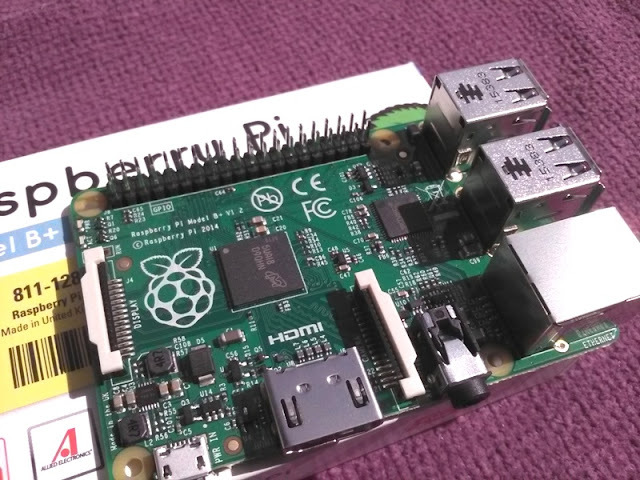 I'm reviewing the Raspberry Pi Model B+ single board computer that I will be using as the brains of the GoPiGo2 Robot Car that I am building. 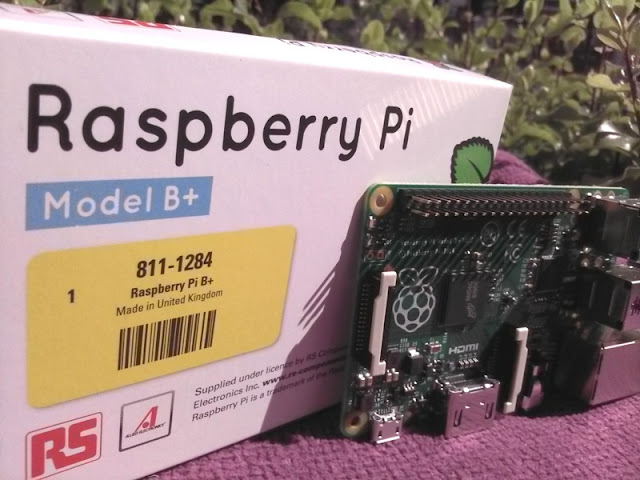 The Raspberry Pi Model B+ is an upgrade from the Raspberry Pi Model B and its improved features are perfect for the robot car project. 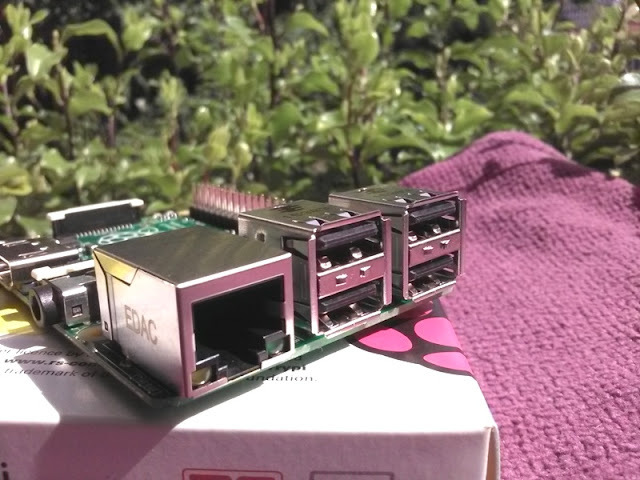 The Raspberry Pi Model B+ consumes less power than the Model B and comes with two more USB ports (a total of 4 USB ports) and an additional 14 GPIO pins, making it a total of 40 GPIO pins (the Model B only had 26 GPIO pins). 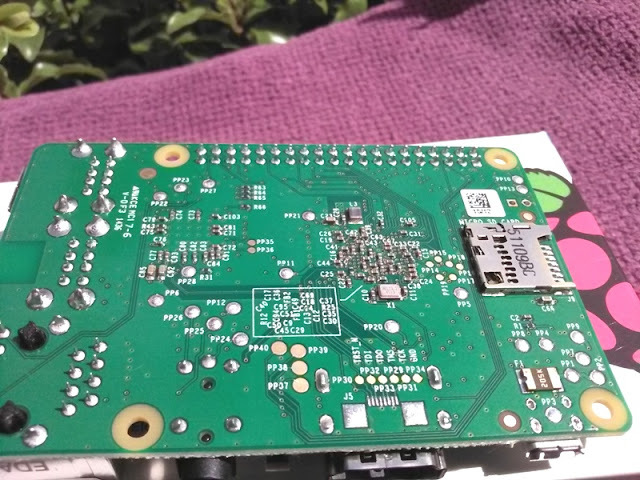 One greatly improved aspect of the Model B+ is the added I2C bus on the 40 GPIO pins found on pin 27 (ID_SC) and pin 28 (ID_SD) for attaching an I2C ID EEPROM to identify and automatically initialize HATs (Hardware Added On Top) at startup. It uses an I2C bus to read a description from an EEPROM on the HAT, similar to cape identification on the Beagle Bone Black. 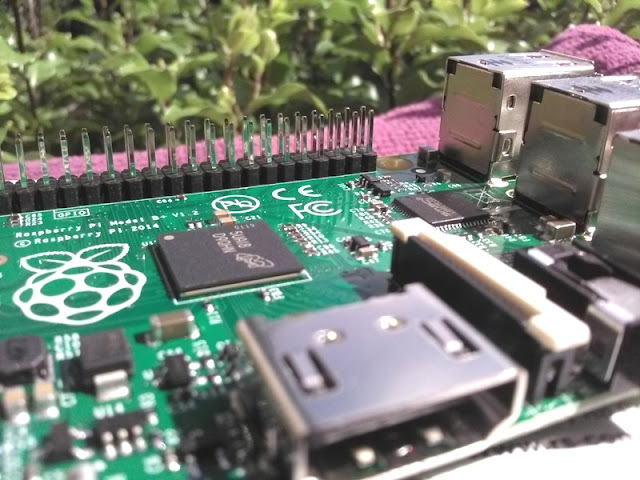 While Pins 27 and 28 can't be use as general purpose pins, you can still have a general purpose I2C bus on the Raspberry Pi Model B+ by using I2C-1 on pins 3 and 5, I2C.0 on pin 27, and SPI on pins 19, 21, 23, 24 and 26 of the 40-pin connector. A few other notable things on the Model B+ that are different to the Model B are the center mountain holes, which are no longer in the center anymore. Also, the audio and video jacks are now a combination audio/ video jack with low noise power supply. 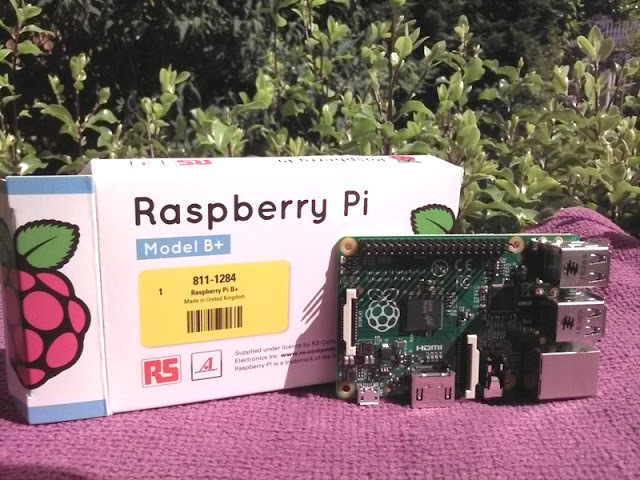 The Model B+ also has an Ethernet port, a camera interface for the flex cable that connects to the Pi camera, HDMI OUT, micro USB port for power, a DisaplyPort for another flex cable and micro SD card on the underside of the board for storing the image of your operating system and any other files you want to keep on the Pi. The RAM and single-core CPU are assembled using a Package On Package (PoP) assembly that includes a Broadcom BCM 2835 System On-A-Chip (SOC) with 700MHz speed and 512 megabytes of RAM. The chip is located underneath the RAM in the PoP Assembly.